Wheels are incredibly important for the overall health of your Acura vehicle, which is why you need to know how to properly keep up and take care of them. The most common way Melville drivers can protect their wheels are through wheel alignment and balancing. What’s the difference? Read on to find out how the Acura service center can get you the regular wheel balancing and wheel alignments you need. Wheel balancing should be done regularly because wheels can lose their balance over time. If your wheels are unbalanced, your steering wheel can shake or vibrate, making your Plainview drive unpleasant or even dangerous. Having your wheels balanced ensures your vehicle provides a smooth ride. It minimizes tire bouncing, improves traction and control, and extends the life of your tires. It’s recommended that you have your wheels balanced when you get your tires rotated, which you should have done every 5,000 to 6,0000 miles or every 6 months. Wheel alignment, while an important part of your overall service, does not need to be done routinely. When you align your wheels, the service technician will make sure that the tires are perpendicular to the road and parallel to each other. Wheels that are out of alignment can result of excessive, uneven tread, unnecessary wear and tear on your tires, and steering issues, so it’s important to have your wheel alignment checked once you realize the problem. This can also cause vehicle pulling, which can lead to drifting into the next lane as you’re driving through Syosset. 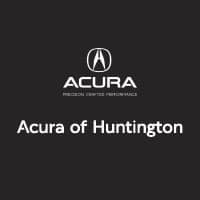 For more information on wheel alignments, wheel balancing, and other important services, take the trip from Plainview to Acura of Huntington! Be sure to take advantage of our service specials, and schedule service so we can get you the wheel protection and care you need.